The members of the Canadian Armed Forces who disrupted a protest organized by Indigenous activists in Halifax on Canada Day will be removed from training and duties as the military investigates and reviews the circumstances, says the country's top general. "We are the nation's protectors, and any member of the Canadian Armed Forces who is not prepared to be the defender we need them to be will face severe consequences, including release from the forces," Gen. Jonathan Vance, chief of defence staff, said in a statement Tuesday night. On Saturday, a gathering of Indigenous people and activists held a protest at the Edward Cornwallis statue in downtown Halifax. 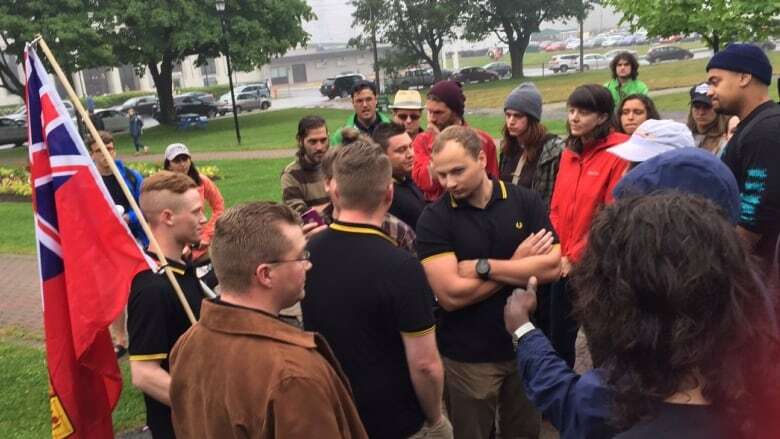 The protest was disrupted by five off-duty military members wearing black polo shirts who referred to themselves as Proud Boys. Who are the 'Proud Boys' who disrupted an Indigenous event on Canada Day? Cornwallis, a governor of Nova Scotia, was a military officer credited by the British for founding Halifax in 1749. Later that year, he issued a bounty on the scalps of Mi'kmaq people. There's been considerable debate over the use of Cornwallis's name on public parks, buildings and street signs. "What happened in Halifax over the weekend is deplorable, and Canadians should rest assured my senior leadership is seized of the matter," said Vance. "The members involved will be removed from training and duties while we conduct an investigation and review the circumstances. Their future in the military is certainly in doubt." Vance apologized to Canada's Indigenous people for the "behaviour of a few." "I expect better," he said. Canada's defence minister condemned the actions of the Armed Forces members who disrupted the protest and said there will be consequences for military personnel who "express intolerance while in — or out — of uniform." "I want to give you my personal assurance that this kind of behaviour will not be tolerated within the ranks of the Canadian Armed Forces and the Department of National Defence," Harjit Sajjan wrote in a Facebook post Tuesday evening. Sajjan said an investigation by the Canadian Forces National Investigation Service is underway into the actions of the men who call themselves Proud Boys. 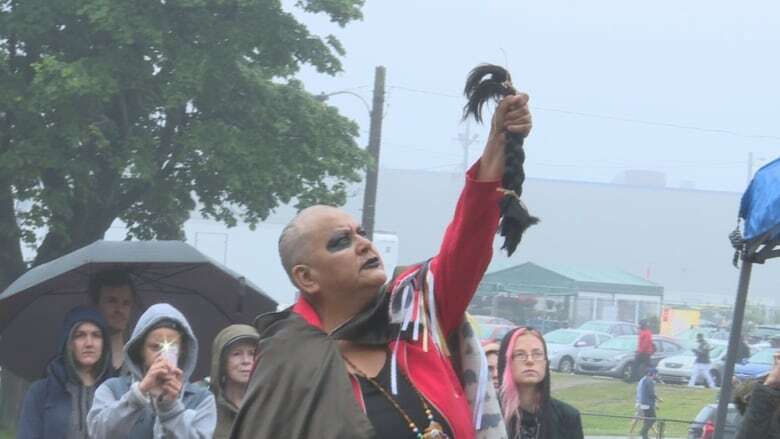 As one of the activists, Chief Grizzly Mamma, was shaving her head in protest, the gathering was interrupted by the five off-duty military members wearing black polo shirts with yellow trim, one of whom carried a Red Ensign flag. The two groups exchanged words. The man who was carrying the flag said, "You're disrespecting General Cornwallis." A Facebook message that appears to be from Dave Eldridge, one of the men who approached the protesters, told CBC News he is part of group called the Proud Boys, a "multi-racial fraternal organization." The Facebook page of the Proud Boys Canadian Chapters says they are "a fraternal organization of Western Chauvinists who will no longer apologize for creating the modern world," and do not discriminate on the basis of race or sexuality. Eldridge said in his Facebook message that the group had thought the event was an anti-Canada protest and left after learning that wasn't the case. The entire exchange between the two groups lasted about 10 minutes. Watch CBC News footage of the incident below. Organizers of the protest said they held the July 1 event there because they felt the statue is a symbol of the systematic persecution of Indigenous people, past and present. 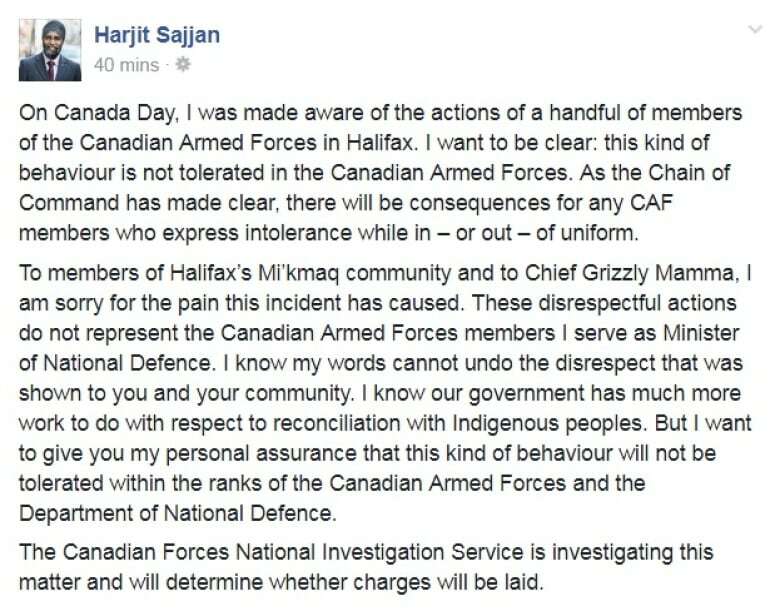 Sajjan apologized to the Halifax Mi'kmaq community and Chief Grizzly Mamma in his Facebook post. "I know my words cannot undo the disrespect that was shown to you and your community. I know our government has much more work to do with respect to reconciliation with Indigenous Peoples." 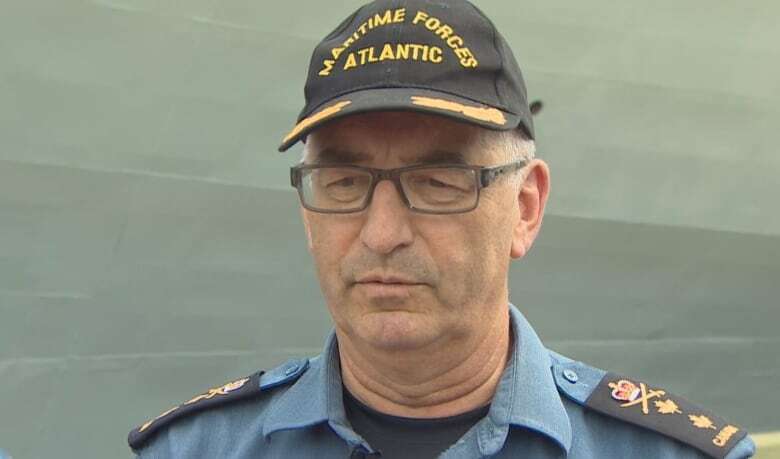 Earlier Tuesday, the commanding officer of the Royal Canadian Navy on the East Coast apologized for the actions of the members of the Canadian Forces who were involved in the confrontation. Rear Admiral John Newton said that members represent their institution even when they're off duty and out of uniform in their personal lives. "I'll stand here in front of you and apologize to the Aboriginal community, to the whole public community that feels offended by the actions of fellow Canadians who wear the uniform," he told a group of reporters. Newton said he followed social media response to the incident and sat down with the group to explain that their actions didn't represent the military. "It erodes government, public and the trust of our fellow members in our combat units. I made that point quite clear to them," he said. "The perception I took is exactly what the people at the Cornwallis monument took. It didn't allow them to have the space to have their own views and to express them. It tried to counter them. "It's just the wrong place for our soldiers, sailors and our men and women to be, and they certainly shouldn't be congregating even outside of that representing those kinds of views." Newton said a military police investigation — as well as an administrative one — is underway. He would not say what the consequences would be for the Armed Forces members identified as Proud Boys. "Trust me: this is a matter of supreme importance to get right and we're going to have to keep getting it right as we bring young people into the Canadian Armed Forces," he said. Newton said the five people involved included members of the navy and army. "It doesn't matter if you're off-hours or in civilian clothes, the fact that you're identified and your behaviours are perceived in contravention of our stated policies of the Canadian Armed Forces, you have just transgressed your personal life into your public life," he said. "They should become educated in a hurry about what the Canadian Armed Forces really stands for." Rebecca Moore, a Mi'kmaq activist who was at the Cornwallis protest on Canada Day, said she was happy to hear the rear admiral apologize on behalf of the offending Forces members. "I do believe he is on the right track and I do appreciate his words," said Moore. Newton said the Indigenous community would be consulted about the Proud Boys incident. He said he has good communications with local Indigenous leaders and would speak to advisers in the community to get guidance. But Moore said Newton should speak to her group, since it was the one that came in direct conflict with the Proud Boys. "I'm wondering if and when that's going to happen," said Moore. "I don't think it would make sense to go to other groups; it would make sense to come directly to us."